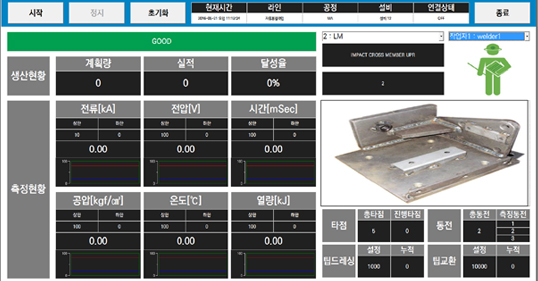 A system designed to control and monitor inspection results, measurements, PLC information, etc. acquired in the on-site process by integrating them all together. 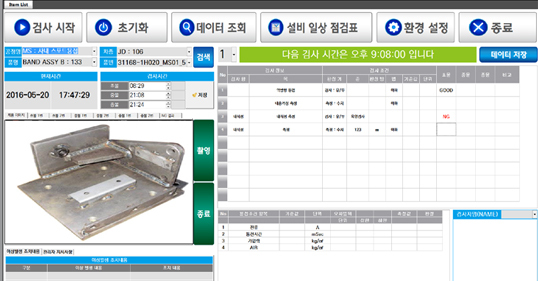 The initial, interim and final products inspection record computerized management S/W + ARC/SPOT welding monitoring S/W + PLC inspection S/W, etc. 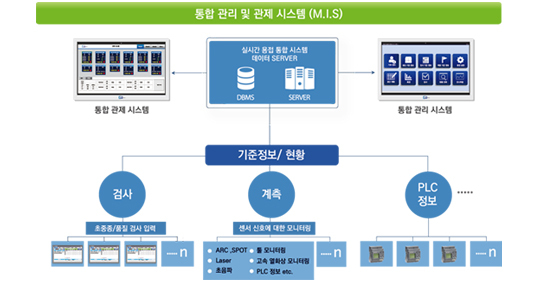 S/W essential for integrated factory management that enables you to analyze, inquire and control data regardless of the number of computers connected to the system as it is integrated into one place. MONITECH established a procedure which you can click the "Accept" button or the "Do not agree" button on the contents of the MONITECH website(http://www.monitech.co.kr/), and we deem that you agreed to the collection of personal information by clicking the "I agree" button. ※ This service (site) does not collect personal information of children under the age of 14 and does not post or provide harmful information to children. The purpose of collecting personal information MONITECH'swebsitecollectsonlytheminimumpersonalinformationnecessaryfortheuseoftheserviceatthetimeofregistration. Personal information that is processed is not used for purposes other than the following. If the purpose of use is changed, we will implement necessary measures, such as obtaining consent in accordance with the Personal Information Protection Act of Article 18. You are required to input your desired ID, password, name, address, phone number, mobile number, e-mail, date of birth, IPIN DI (check duplicate sign-up) in order to use the services of MONITECH's homepage. However, there is no limit to the use of the service even if you do not input the selected item (such as the relationship with MONITECH).